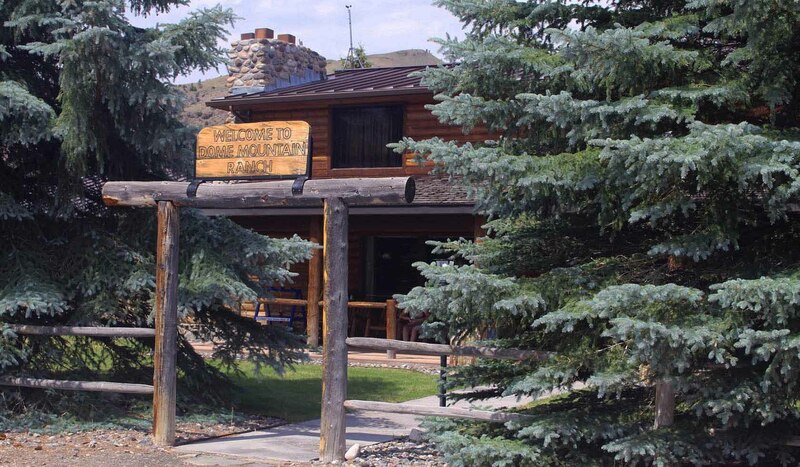 Our all-inclusive fly fishing vacations include expert guide services, cozy riverside cabins, our historic lodge and Montana-style meals in the "Big Hatch Cafe". We offer true "Montana Time", we'll help you unwind by making it easy for you to have some fun. Beginner or expert, we welcome all! Let us know you what "Tight Line & Smiles" is all about-800-313-4868. Our ranch offers private walking access to the Yellowstone river, our own private trophy lake, world famous spring creeks and 2,600 miles of trout water in nearby Yellowstone National Park. The variety of unique characteristics of this incredible Blue Ribbon water will entice all to experience it's rewards. For even the beginner fly fisher this Montana river provides a welcome invitation due to it's ease of access and wade fishing along with abundant insect hatches and low fishing pressure. Dome Mountain Ranch also offers fully professionally guided floats on the upper stretches of the Yellowstone river with special permits for use on the Gallatin National Forest. Also available are walk and wade guided trips right in Yellowstone National Park. All guided trips are performed by experienced outfitters and local guides who know the river extremely well and will provide you and your family and friends with a different & exclusive, personalized escape. This is real Montana fly fishing at it's best. World class browns, rainbows and cutthroat trout are a stones throw from here. We'll be more than happy to help you plan the perfect Montana fly fishing vacation. From trail rides, hiking, whitewater rafting, and proximity to Yellowstone Park, You'll find we meet all the needs of the perfect Montana vacation whether you're looking for a quiet, private retreat or a few days of solitude and quality time with family and friends. Located in the heart of the elk winter range, Dome Mountain Ranch offers hunters excellent opportunities. The private property of the ranch itself is directly against nearly 1 million acres of the Absaroka-Beartooth Wilderness area of the Gallatin National Forest. This area also borders the boundaries of Yellowstone Park. During migration, large trophy size bulls lead herds in the thousands to their wintering areas around Dome Mountain. In addition, our resident herd also begins to move. It is not uncommon for a hunter to see hundreds of elk per day granting him or her an opportunity at bagging the elk of a lifetime.